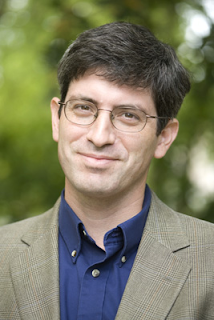 We like watching how award-winning science writer Carl Zimmer keeps finding ways to use social and new media options to promote his books, the latest of which is Microcosm: E. coli and the New Science of Life. An observer of life's origins, he has a website, a popular blog hosted by Discover magazine, and cross-posts items from his blog on his Facebook page, adding videos, speaking engagements, Twitter feeds and more. You'll find Zimmer's writing in the New York Times, Discover, National Geographic and many other places, in addition to his books and blog, and you can go here to find a summary of a panel on book publicity that we did together for the National Association of Science Writers. Here, we pick his brain about how authors—and others—can use new media options for added exposure, interacting with an audience, and more. DGC: How did your use of new media evolve? Zimmer: It started with a website so I could have a clip file—I put all my articles online and I can just direct an editor there. I put the books on there, so when people Google the books, they wind up there. Then, I started to think where’s the software going? Blogs started coming out and were free self-publishing, so I started fooling around with that. The next stage is this social networking stuff. And again, it’s free. I don’t think it takes much time—you can keep a window open to Facebook and LinkedIn and when you have a free moment, if someone wrote a nice review of your book, you press one button and it’s all loaded in there. DGC: What about using these sites for publicity? Zimmer: I also was trying to understand how I could promote books beyond what the publicist would do—it seemed pretty clear that anything I could do on my own would be a benefit. It used to be that we would promote books in other ways—people would schmooze people at parties. I remember once buying a mailing list and having postcards printed up—it was expensive and yielded very little return. I was blown away when you could embed a video in a blog post. Now, it’s really simple for me to make a video, and so I made a video about my book, put it on YouTube and embedded it in my blog. Then someone embedded it in his blog, and that didn’t cost anybody anything. DGC: What do you use today? Zimmer: I still have my good old website, the old warhorse that keeps on going. I have my blog. I do Facebook fairly frequently. I had a MySpace page, but I pretty quickly abandoned it. It’s not easy to use and it doesn’t let you do a whole of different things. I have LinkedIn—I use that to be connected to people. It’s good because people can find me and I can find other people easily. That keeps my social networks up to date. I’ve been fooling around with Twitter. It’s fun, but I find it hard to believe people would want to keep up with my minute by minute movements. What I do now is Twitter, and that automatically goes into my Facebook profile. If it takes you five minutes to set it up, you might as well do it. DGC: Is it a plus or a minus to be interacting with an audience? Zimmer: I am finding it useful. I think people expect that now, so if you don’t have that relationship with book readers or potential book readers, then they’re going to look elsewhere for authors who are. When I asked my blog readers to compete for the best question about e. coli—the topic of my latest book—I got 250 responses. The prize was a copy of the book. And the reason I got so many responses, in part, is that I make myself part of a network of readers and writers and bloggers. A lot of those people came over from other blogs that posted an item about the contest. Some came to ask questions, some came to see the answers. Seems like an indispensable way of reaching people. DGC: Sounds like a change from the image of a solitary writer. DGC: What works best for you? Zimmer: It’s still the blog right now. My blog may not get huge amounts of traffic, but some people read it and comment on it and things ripple out. It’s all having some benefit. I get an absurd amount of traffic from the science tattoos [a regular feature on his blog that's evolved into its own blog]. I’ve gotten so many of these that I can be picky now. I’ve got a backlog actually. I’ve been featured in a tattoo magazine. DGC: How did that start? Zimmer: It started as a question I just asked. I noticed a friend of mine at a pool party for my nephew. He had a tattoo of DNA on his shoulder, and he said it’s my wife’s initials in genetic code. He studies genetics. Then I recalled someone who had a big tattoo on his arm of a fish he studied, and I started to wonder are there a lot of tattoos out there on scientists that I haven’t seen? I posted that as a question on the blog seven or eight months ago and it has a life of its own, I’m just managing it. Five years ago, someone might have seen a tattoo like that and would have done a photo essay that would’ve taken forever. Now, here is a photo essay that is basically self-assembled and continuing to grow-- it’s like an organism, we’re up to 200 tattoos now. The other day some website in Poland linked to it and 20,000 people showed up to look at it.